Glass cockpits, NextGen, iPads, GPS, drones -- these and other advances of the Digital Age are revolutionizing aviation. This book examines how these advances are impacting aviation and gives pilots the tools and knowledge they need to fly safely and efficiently in this new environment. This book explains these technologies in plain English and from the pilot`s perspective, and shows how they work together to create a new way of flying in the Digital Age. Fly the Glass Cockpit Like a Pro first examines several technologies which have really "taken off" in the last seven years - NextGen, personal devices such as tablet computers and smartphones, drones, and cybersecurity. Pilots need to understand these advances and how they are changing the way we fly in the National Airspace System. Next, Fly the Glass Cockpit Like a Pro examines "The Glass Cockpit Revolution" - how it happened, what it means for pilots and how to use glass cockpit technology to fly safely and efficiently. It includes chapters on "Mastering the Glass Cockpit" and "Flight Planning In the Digital Age." It is vital that flight instructors understand these advances, not only because they fly in this environment but because it is their job to communicate this knowledge to the pilot community. That is why this book includes a chapter on "Flight Training in the Digital Age." Because checklists are a vital part of flying safely and effectively in the Digital Age Fly the Glass Cockpit Like a Pro dedicates a separate chapter to their creation and use. The book concludes with a chapter on "The Future," which tries to predict where the on-going digital revolution will take aviation. To be clear, Fly the Glass Cockpit Like a Pro is not a tutorial on specific pieces of aviation equipment. For one thing, in the Digital Age, details about the features, capabilities and operation of particular pieces of equipment change too rapidly for any book to stay current. Pilots should always look for the details of how to operate their particular make and model of aircraft or avionics box in the latest updated documentation provided by the manufacturer of that equipment. This has always been true and is even more so today, since the operational details of glass cockpit airplanes differ greatly among models and change so rapidly. 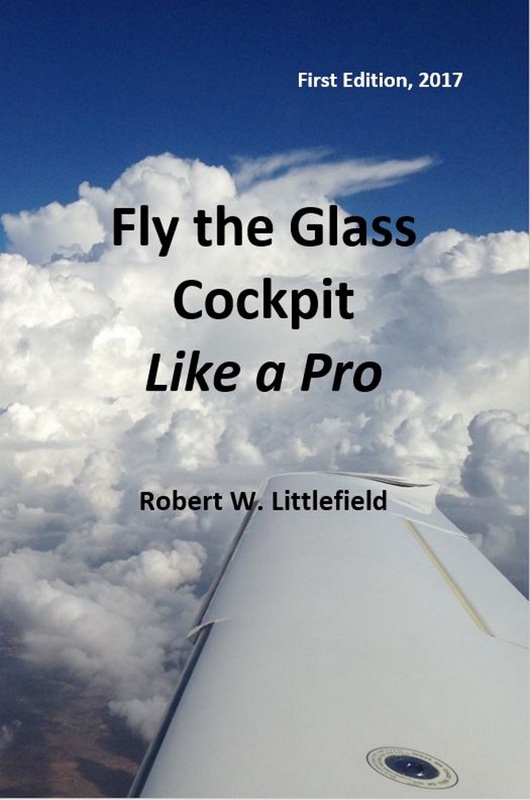 Fly the Glass Cockpit Like a Pro is available online at Amazon as a Kindle e-book or a paperback.